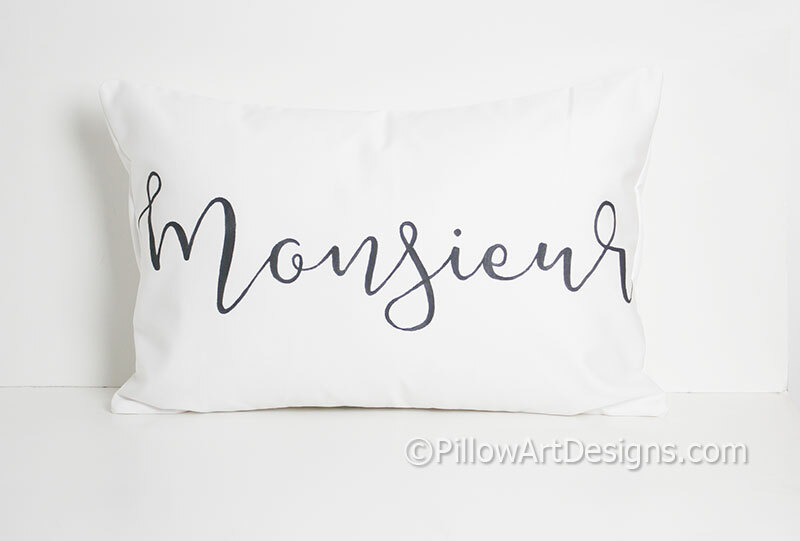 Madame and Monsieur lumbar pillow covers made to fit 12 X 18 inserts (not included). Mini Est date pillow measures 8 X 12 inches and comes stuffed with hi loft polyester fiberfill, no insert required. 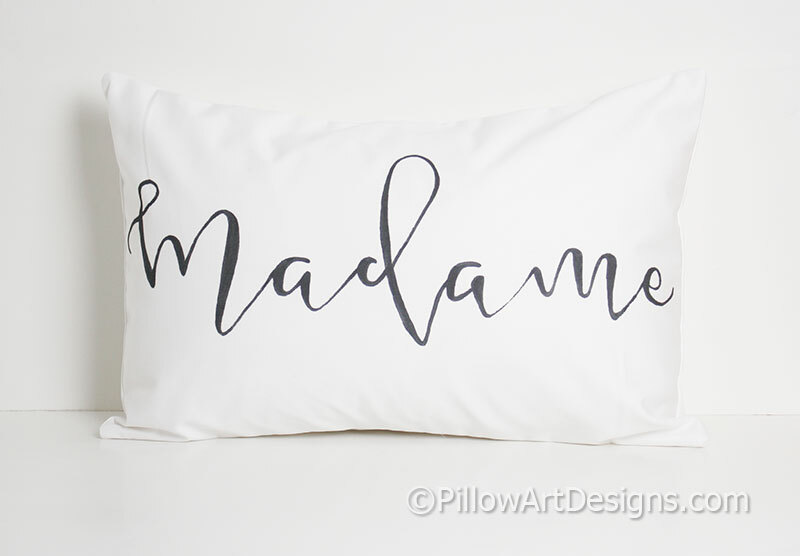 Madame, Monsieur and date numbers painted in black non toxic fabric paint. 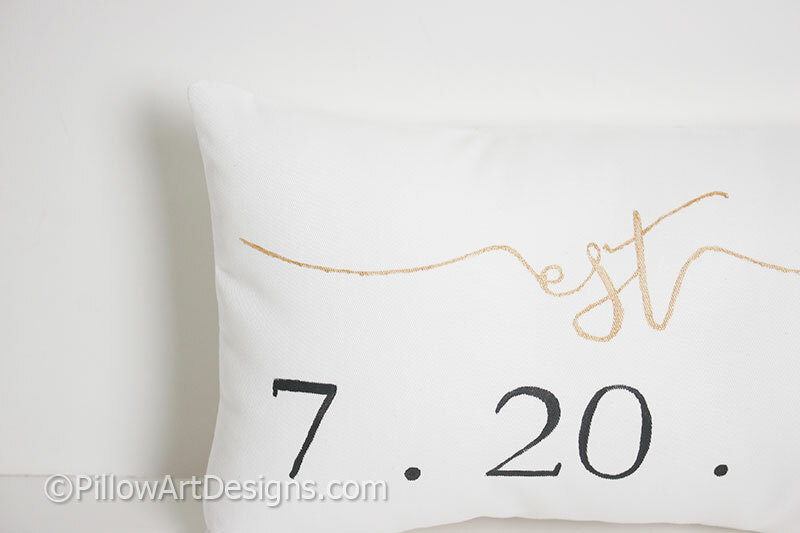 Est on mini pillow painted in metallic gold non toxic fabric paint. Outer fabric on all pieces white cotton polyester twill. 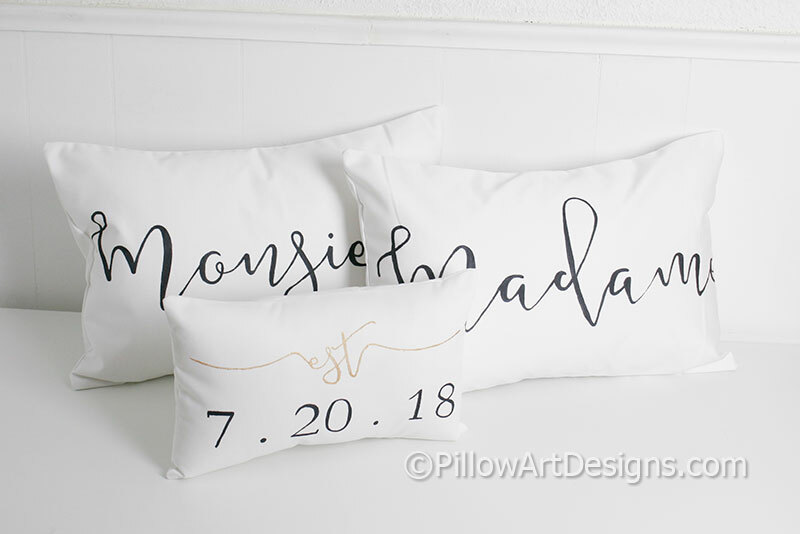 To order, purchase this listing and remember to send me your date numbers for the front of the mini pillow.